Your website visitors can convert currencies using latest exchange rates. 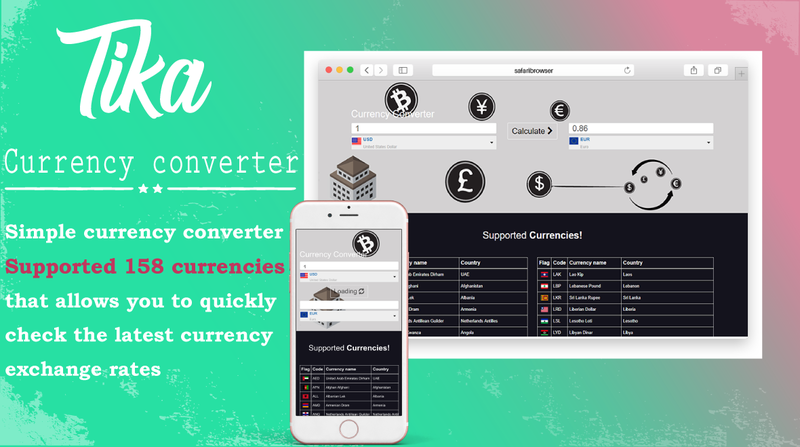 Easy to setup " Tika Currency Converter "
You can use this Script for Cryptocurrency Business. Bitcoin, Etherum, Crypto currency, Ripple, Digital Money.